The NeXTcube is a high-end workstation developed, manufactured and sold by NeXT, the company founded by Steve Jobs after leaving Apple. 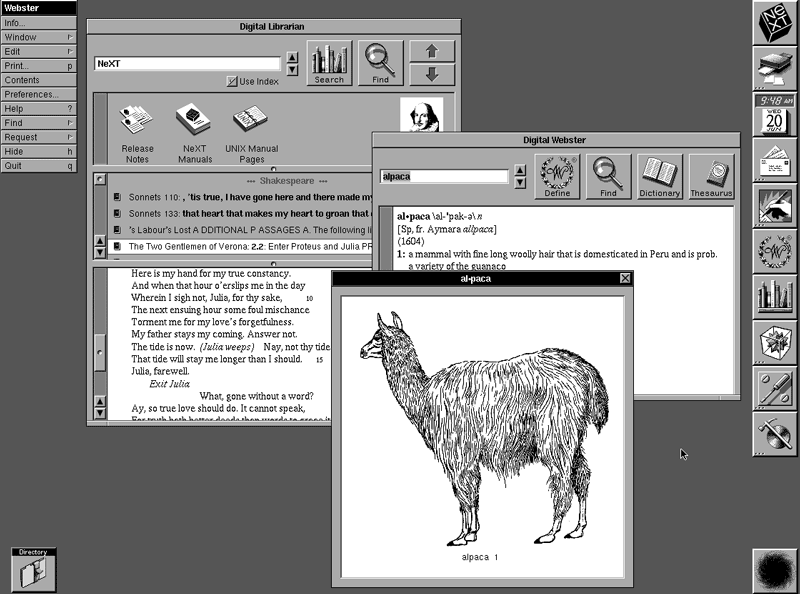 NeXT only survives until 1993 but its computers and NeXTSTEP operating system (shown below) have a big impact on the graphic arts industry. 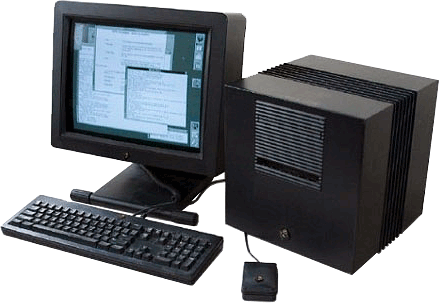 The World’s first web server runs a NeXT system. Heidelberg’s SignaStation imposition software and OneVision’s applications debut on this platform and make effective use of its support for Display Postscript. NeXTSTEP later becomes the foundation of Mac OS X. Below you can see that NeXTSTEP already had a dock, located to the right. 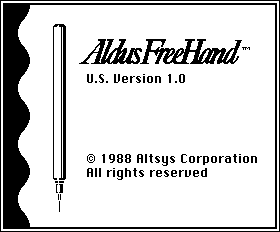 Aldus releases FreeHand 1.0, a vector drawing program which for many years is the main competitor of Adobe Illustrator. • Hyphen Inc. introduces the first software RIP. Until then all vendors used their own custom hardware for RIPs. The Hyphen RIP is a PostScript clone that runs on a standard PC platform. Competitor Adobe meanwhile launches a new version of its Atlas PostScript RIP, which vendors like Linotype ship in a version with 6 MB RAM and an 80 MB hard disk. • The HP DeskJet black & white printer is an immediate success in the office printing market but it will still take a few years before inkjet technology starts having a major impact in graphic arts. 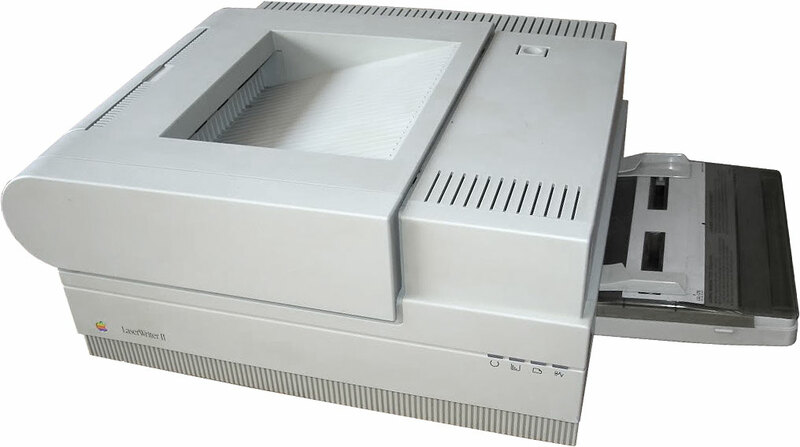 The Apple LaserWriter II is another printer launched that year. It comes in various versions to target both entry level and professional users. 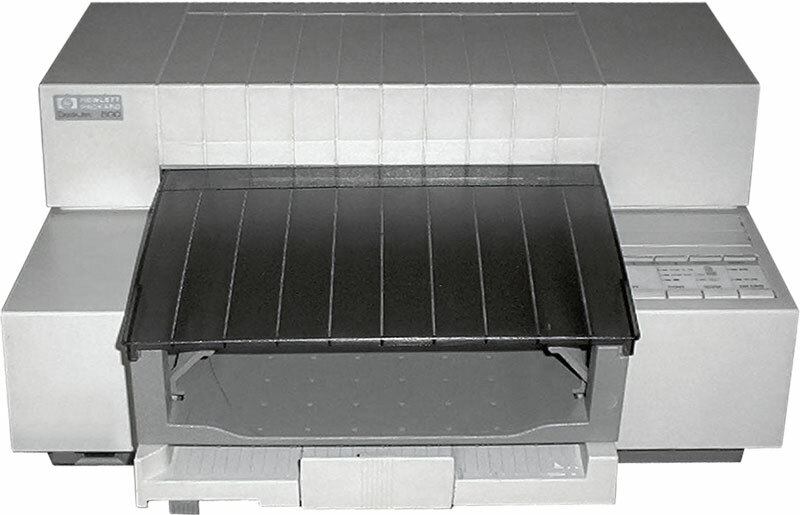 Yet another newcomer is the QMS Color Printer 30, the first PostScript color printer. • AFP transmits the first pictures by satellite, using a Hasselblad Dixel digital emitter. The pictures are from the Paris-Dakar rally. • Apple introduces System 6, the last version of its operating system that needs the clunky ‘Font/DA mover’ application to install fonts. Adrian Frutiger feels obliged to design a sans serif in the tradition of Futura while making use of the experience and stylistic developments of the twentieth century. The end result is Avenir. A Boeing 744 from Pan-Am explodes from a terrorist bomb and crashes in Lockerbie (Scotland). George Bush wins the US elections. Work begins on the Chunnel between France and the UK. I was running a copy of Enfocus founder Peter Camps 1st PostScript editing application – Enfocus Tailor – on a Sun computer in 1988.